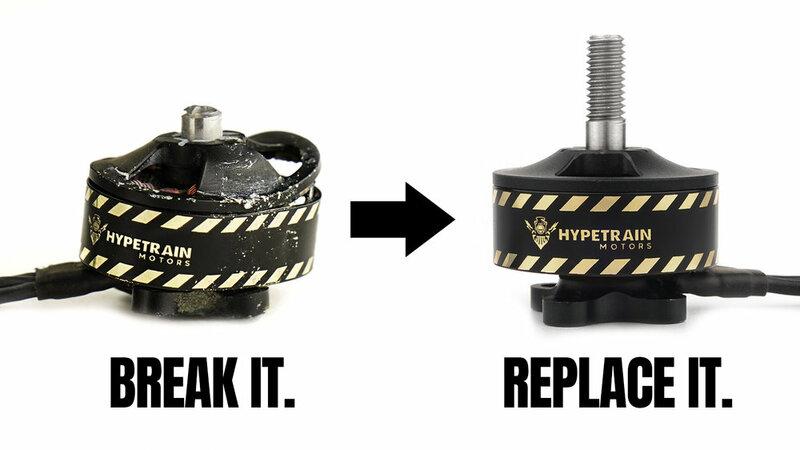 The Hypetrain Blaster Motor resembles a Radiation Hazard symbol, evoking memories of Rotor Riot’s radioactive adventures in Chernobyl. 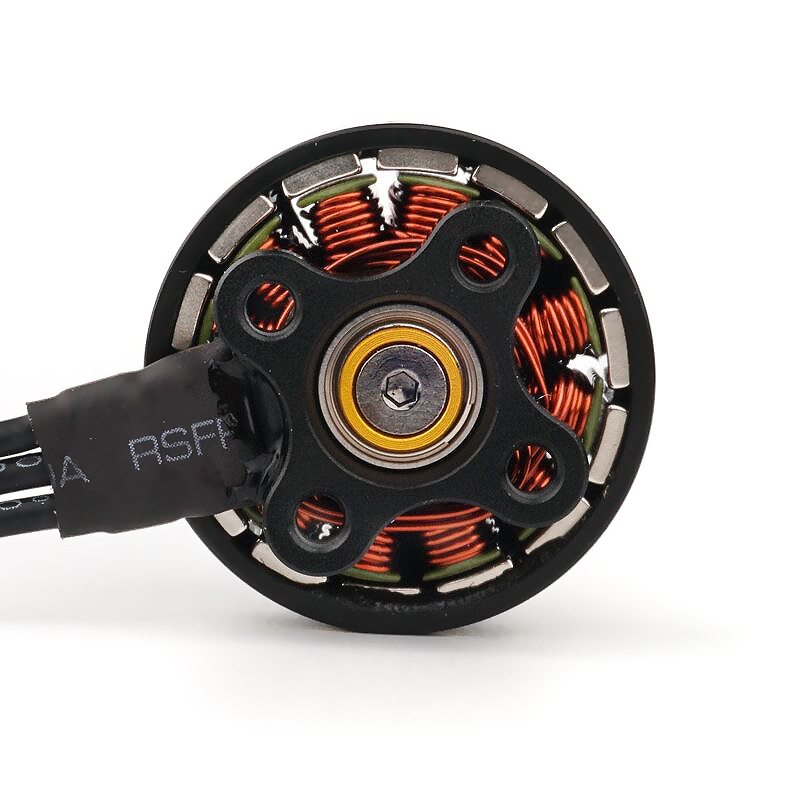 The motor bell is made from aluminum and anodized to a sleek matte black finish, while the steel magnet ring is black with beautiful gold plated highlights. 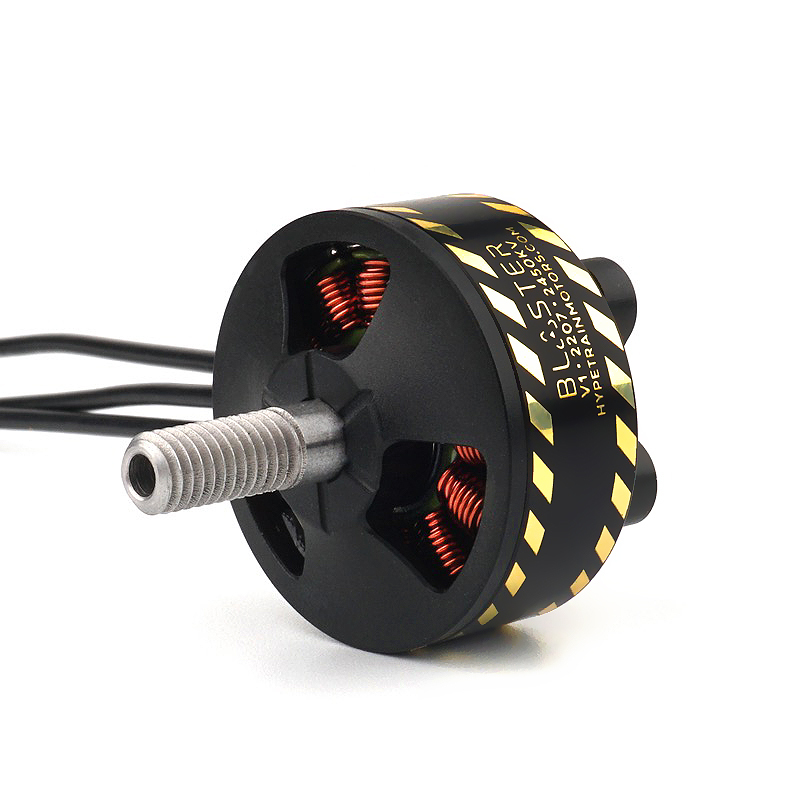 The distinctive bell is supported by a weight saving hollow-core steel shaft, and held in place with a hex shaft screw that facilitates motor service. 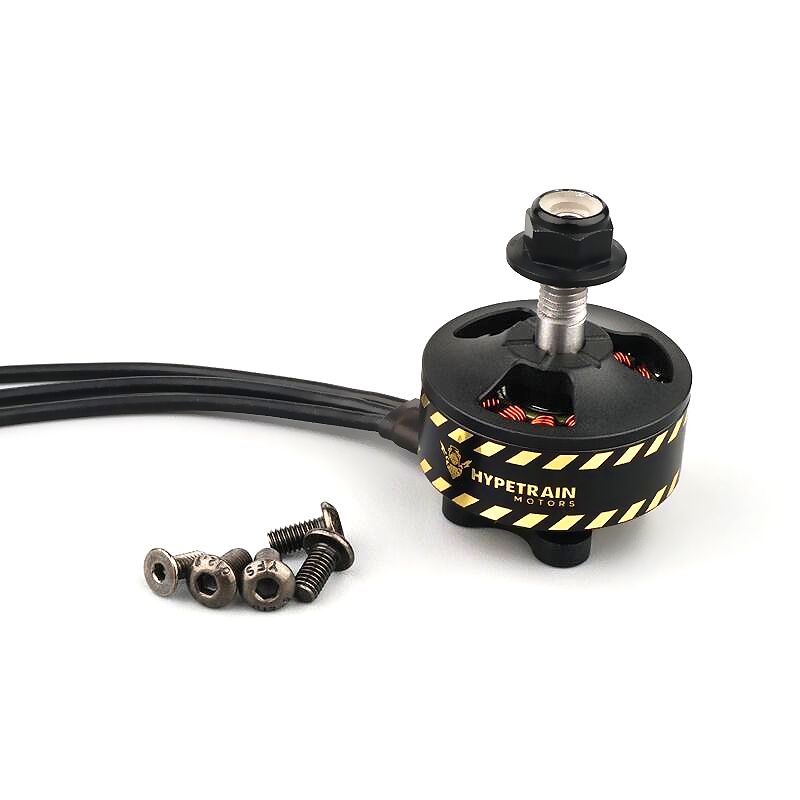 Through the implementation of an open, “naked bottom” type aluminum base, the Blaster reduces material excess to a minimum, saving weight while reducing heat accumulation in the stator and windings. 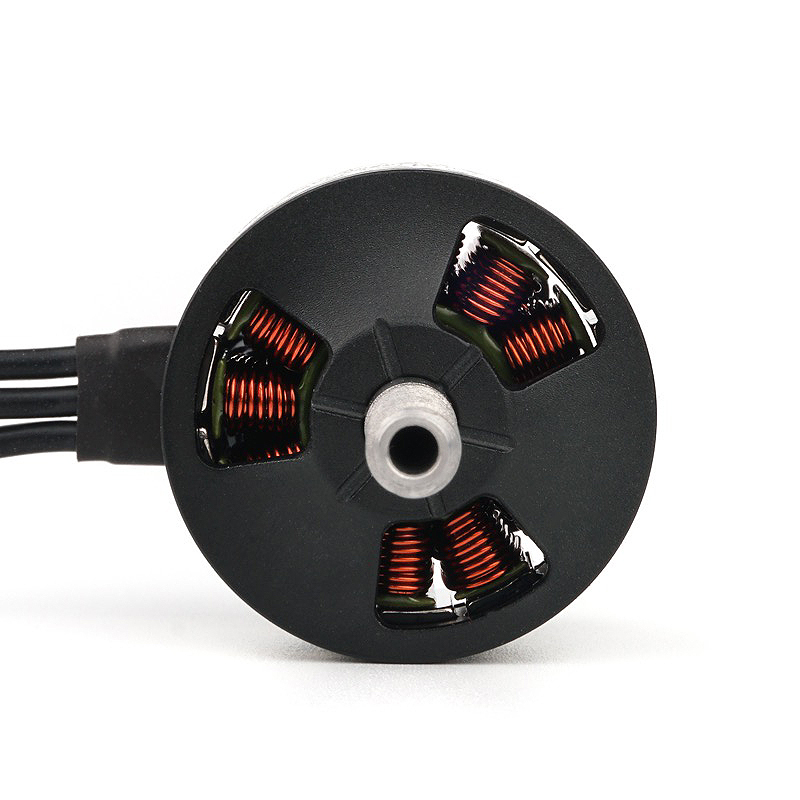 The base maintains the standard Hypetrain 16x16mm mounting pattern, which optimizes mounting options, maintaining compatibility with older frames and saving an extra bit of weight. 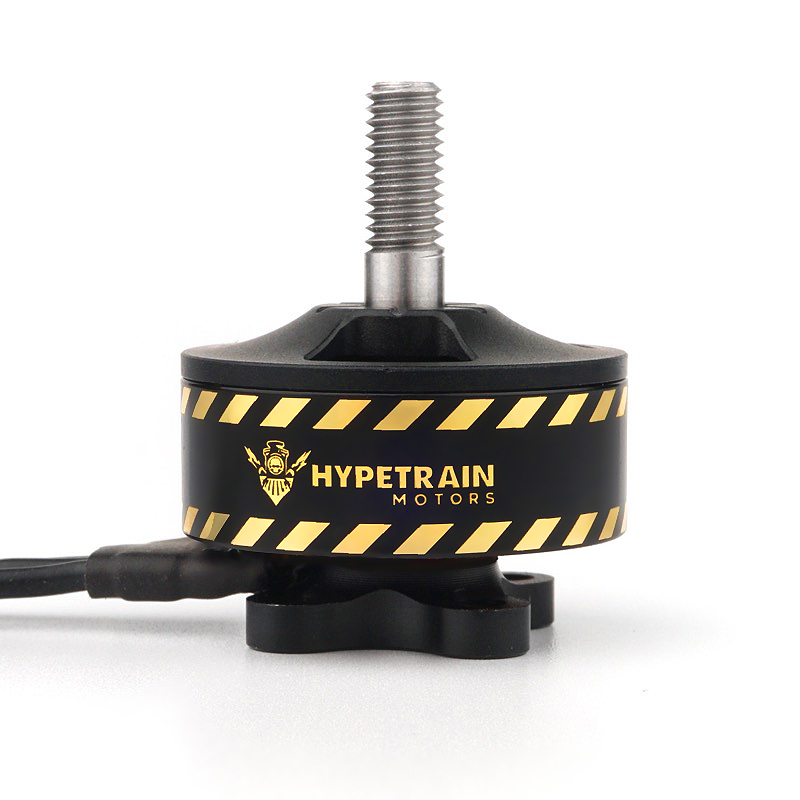 Last but not least, The Hypetrain Blaster 2207 2450KV Motor is the first Hypetrain product eligible for the Fly Hard Replacement Program! This means that if you happen to break or damage a Hypetrain Blaster motor, you are eligible* to get a replacement sent to you for less than what it would cost to buy a new motor! *Terms and Conditions Apply. See the Replacement Program Page for details.